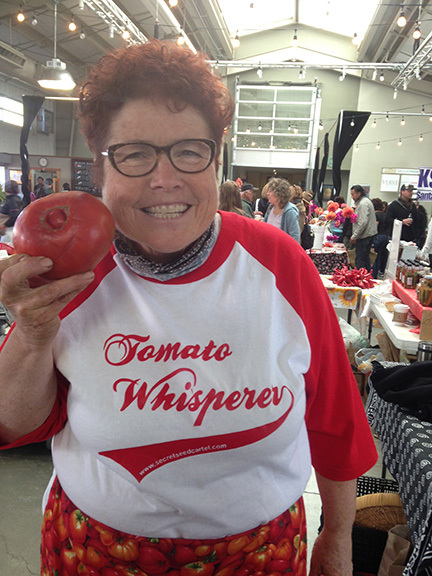 Where are the tomato hormworms? I haven’t seen any tomato hornworms yet which I think is unusual for this time of year. 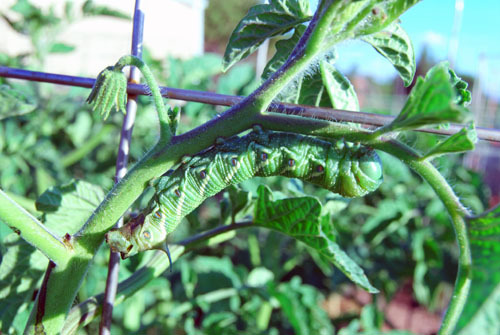 I looked up in my blog posts from last year to see when the tomato hormworm showed up- they appeared on July 8th. And come to think of it, I haven’t seen any Hummingbird moths or Sphnix moths either yet. Maybe the -20°F weather we had last winter killed the larvae! We’ll see. This entry was posted in general, TOMATOES and tagged growing tomatoes, hummingbird moth, sphinx moth, tomato hornworm. ← More on squash bugs.. 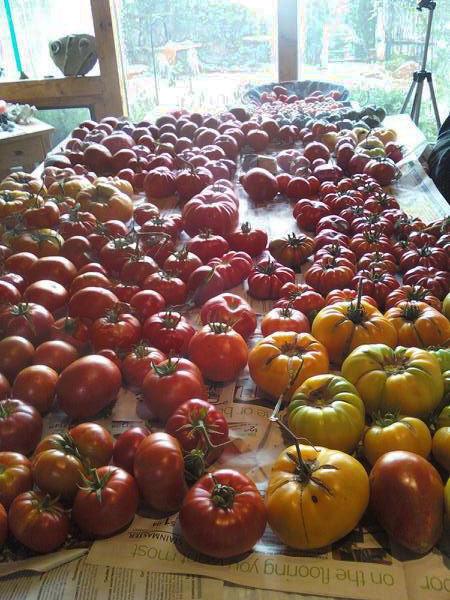 Unlike last year, my first year of gardening in NM, I am not noting any plant problems………………yet. I note since really cross ventilating the greenhouse that the only real signs of insect are leaves with holes in them. Come to think of it I really looked forward to making war on the gopher population with the “gophenator” traps and have seen only one single mound so far and that gopher was soon dispatched. That problem has almost been disappointing, since there was so much activity last year. I found my first tomato hornworm on Saturday, July 16th. It was a very healthy one !